Steamed Rice Roll or commonly known in Penang as Chee Cheong Fun was originated from southern China and Hong Kong with many variety of filling. In Malaysian and Singapore, many people prefer taking this delicacy with a kind of reddish black sweet sauce, shrimp paste and specially prepared chili paste. 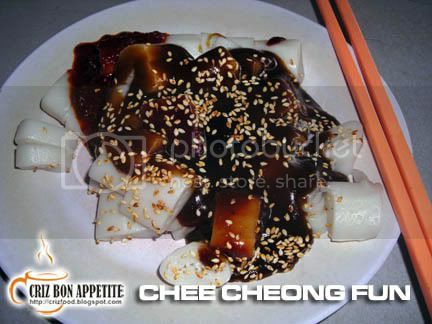 Chee Cheong Fun is a popular breakfast food in Singapore and Malaysia but nowadays people tend to consume it practically any time of the day. 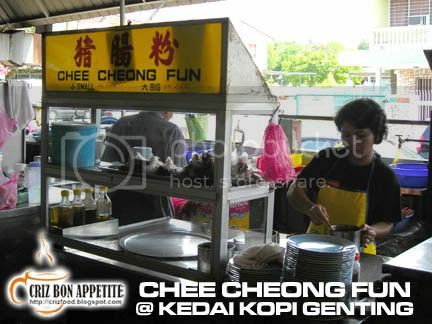 I have tried many stalls selling Chee Cheong Fun in Penang. Some of them were using shrimp pastes that have overwhelming smell of fermented shrimp and tasted kind of salty. The best Chee Cheong Fun that I have tasted so far that really met up to my expectation is the one selling in Kedai Kopi Genting in Green Lane area, Penang. The combination of sauces was perfect and the chili paste was marvelous. Not many stalls in Penang served the chili paste cooked with dried shrimp as they do. The price for two rolls of Chee Cheong Fun only cost RM1.70 whereas for three rolls, it costs only RM2.50. No wonder, there were many Singaporeans who had bought tens of packets from the stall regularly. If you are coming from Jalan Mesjid Negeri towards the Penang Bridge, do watch out for Jalan Delima on your right at the traffic light. Turn into the road and turn to the first road on your left (Lorong Delima 6). 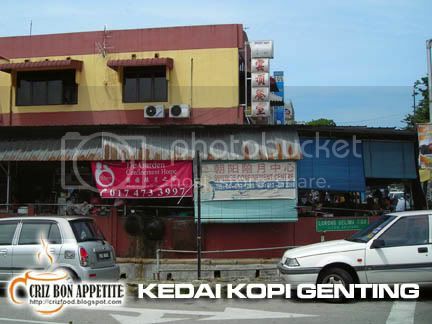 That’s where the Kedai Kopi Genting is. 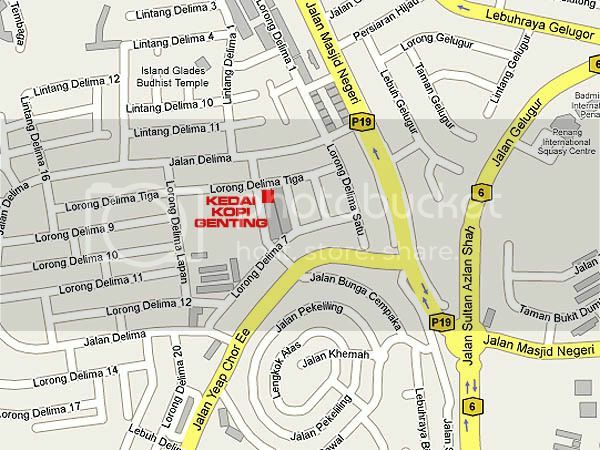 Address: Lorong Delima 3, 11700 Penang, Malaysia. I agree with you… this stall has the best har koe CCF in town. I like mine with chili sauce and har koe only…not the tee jeau (sweet sauce). haha.. I agree… BEST among all serving with prawn paste in town. but I like the sweet sauce more… haha… diff abit from cklam.